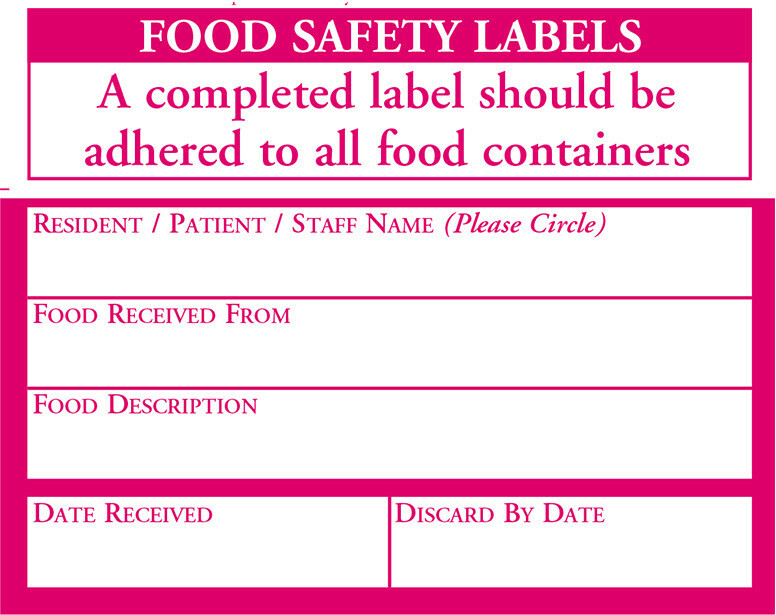 "Prevention is better than a cure"
By completing and applying this label to each food container upon arrival - all staff and residents are aware of the status of the food, thereby providing less risk to the health of the resident. 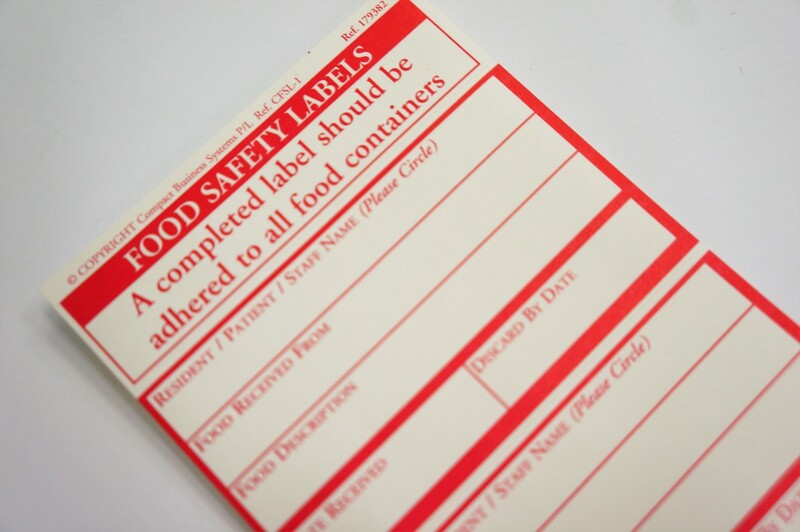 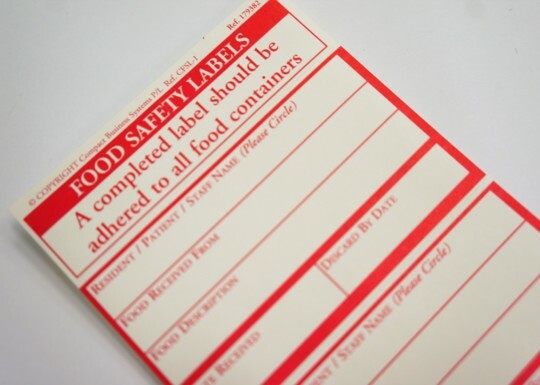 Labels are printed in red for easy identification when adhered to food containers. 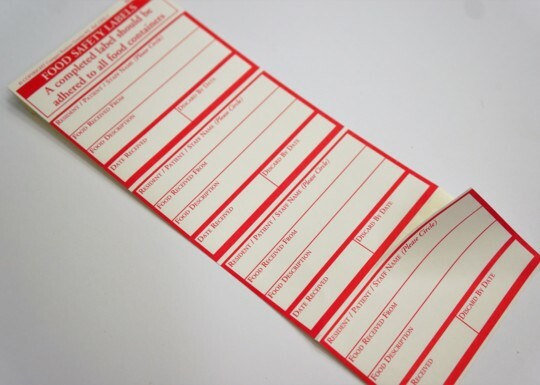 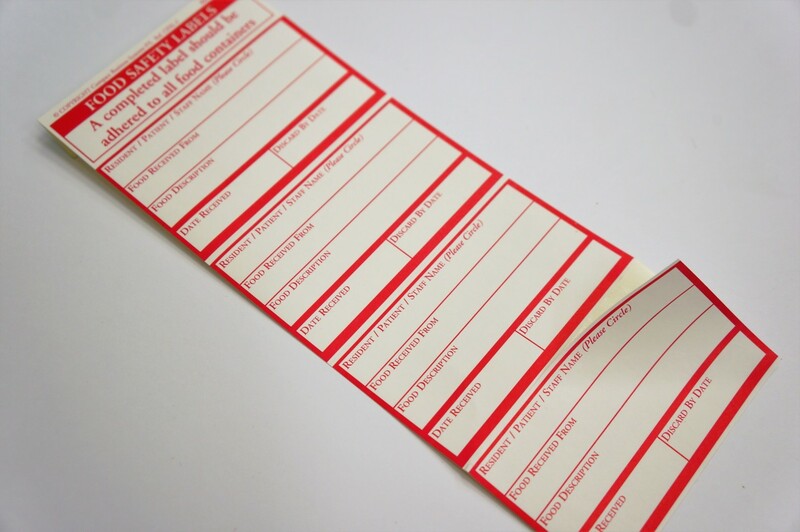 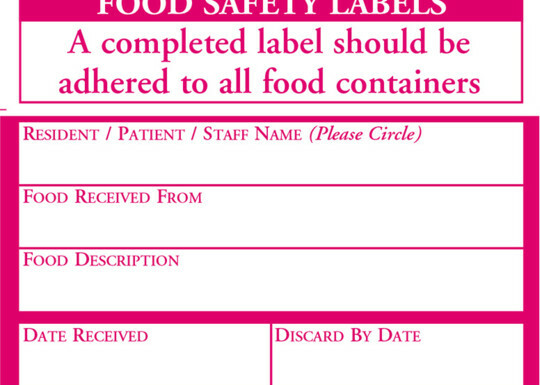 Food Safety Labels Supplied in pads of 100 labels, 5 pads per packet.